Well done, you've found mirror lenses.co.uk...a resource for those interested in the infamous mirror lens. Over the years mirror lenses have had bad press. They've been ripped apart in reviews for being unsharp, slagged off in technical forums for the "horrible" dough nut shaped bokeh and consigned to the cupboard by those who found the contrast as flat as a fart. The truth is, when used carefully, a mirror lens can be a useful tool and doesn't take up anywhere near the space that an equivalent focal length lens does. So what are you waiting for, have a look around mirrorlens.co.uk. We've got the most comprehensive database of the mirror lenses made, along with a gallery of photos taken with mirror lenses, and some full sized test pictures for you to check out. 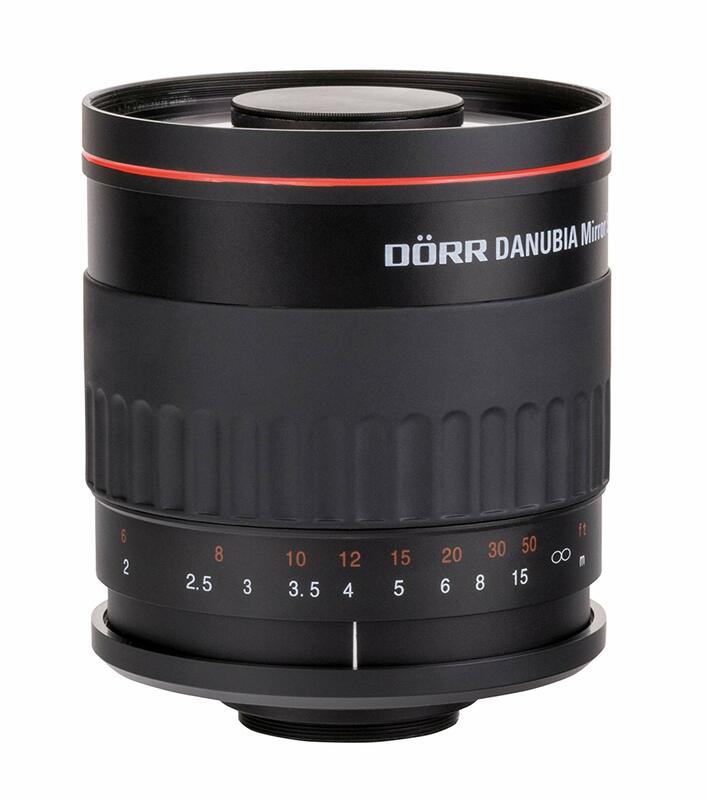 Over time we will bring you a collection of mirror lens reviews. We'll list the best sites to discover more info about mirror lenses, add provide some auction sites that list mirror lenses, point you at some stock in shops, and even list a few used models for sale directly from us. 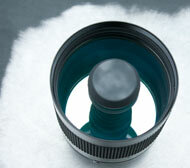 We guide you through the type of mirror lenses that you can use to take stunning telephoto shots. 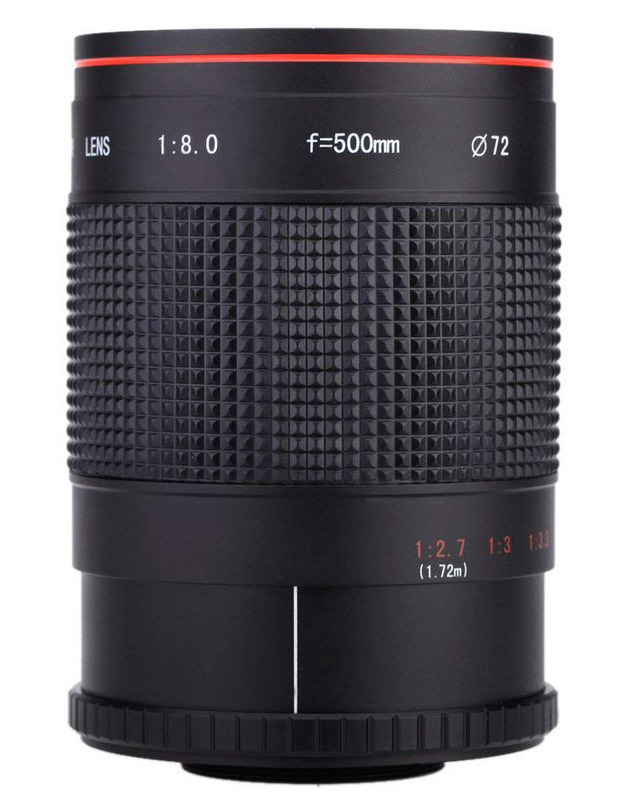 The Danubia 500mm f/6.3 is a compact and lightweight lens with a t2 mount so adaptors can be purchased for any camera body. 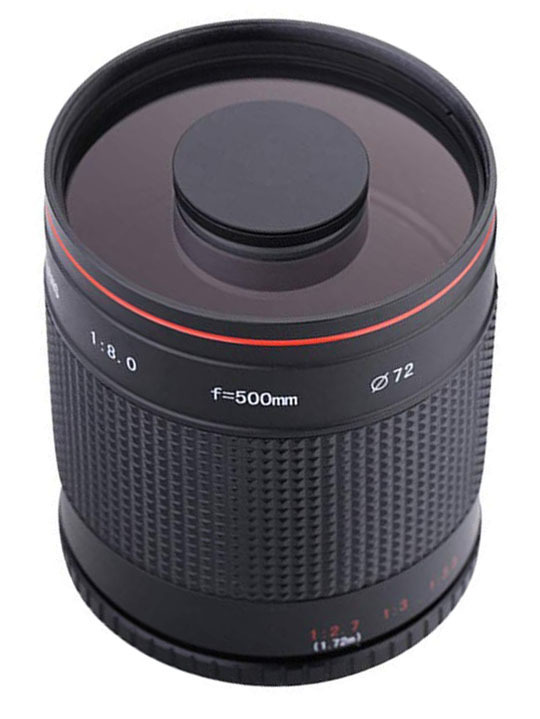 It has a 95mm filter thread and is suited for wildlife and sports photography. The Vivitar manual focus mirror lens is compact and lightweight aluminium bodied model with Super Spectra Lens Coating. It has a T2 mouint so can be attached to just about all camera systems. 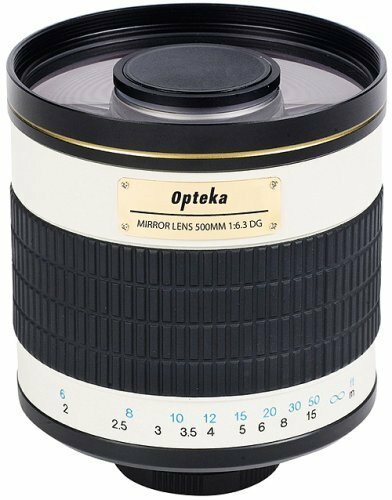 The Opteka 500mm f/8 is a manual focus mirror lens with 7 low dispersion glass elements in 6 groups. It compact and lightweight making it ideal for travel, nature and wildlife photography. Yuhtech 500mm f/8 Mirror Tele is a compact and lightweight ultra telephoto lens with a Sony Alpha mount. 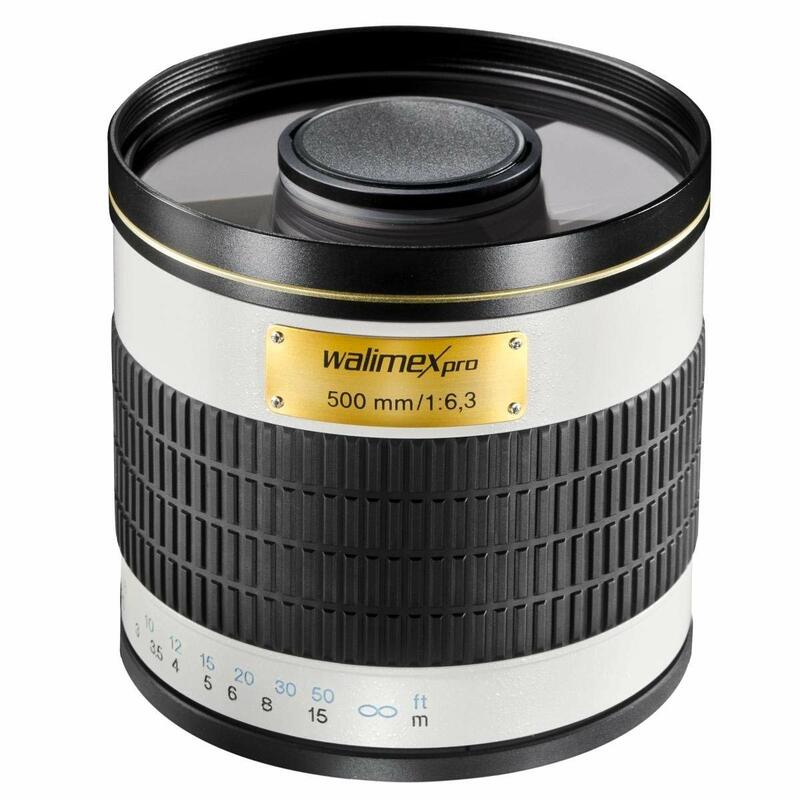 It comes complete with a soft pouch and three (3) rear mounted, 30.5mm filters, (ND-2X, ND-4X and Skylight). 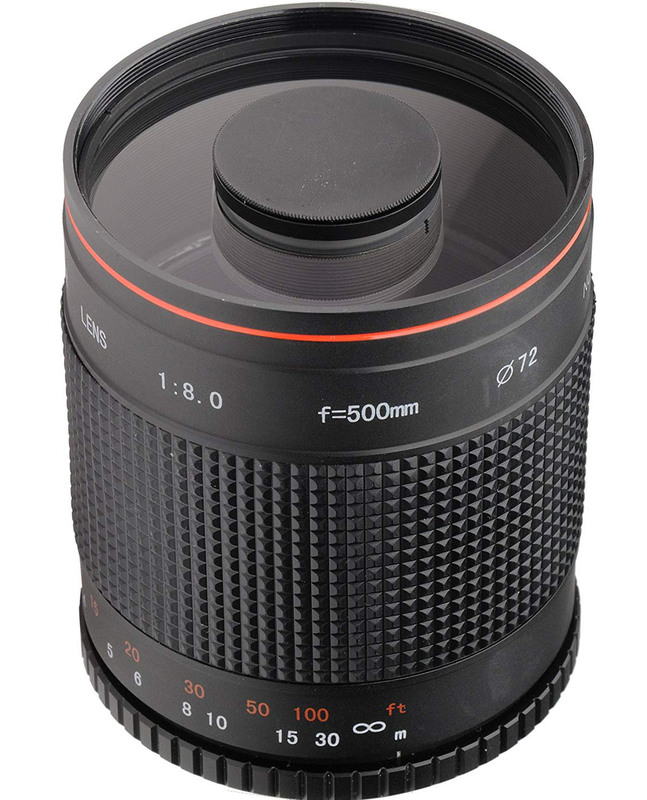 The Andoer 500mm f/8 is a manual focus mirror lens with a 6 Elements in 6 groups construction. It has a T2 mouint so can be attached to just about all camera systems and comes with ND2, ND4 and skylight 1A filter set.